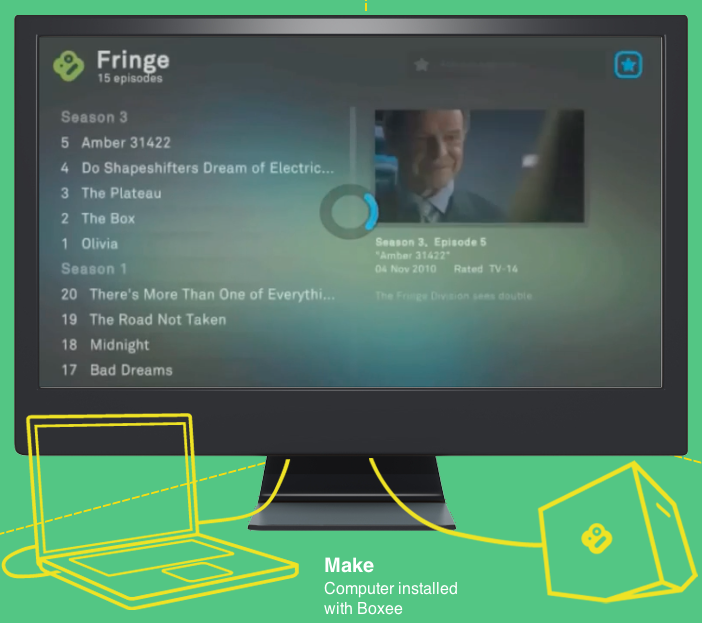 Boxee, the New York-based start-up that introduced the irregular-shaped Boxee Box for streaming Web video to TV sets, is betting with its new box that users are going to want to DVR a lot of basic TV — that’s right, real TV. The company’s new device — simply called Boxee TV, not Boxee Box 2 — still works like the previous Boxee Box in that it connects to your Internet router at home and streams Web apps, like Pandora or Netflix, to your TV. It’s still made by D-Link, Boxee’s manufacturing partner on the first box. But Boxee TV also includes a DVR service that records TV content from free, over-the-air channels patched through the box’s dual tuner — provided that users are in one of eight markets where the TV can be recorded through Boxee. It’s also supposed to transmit unencrypted cable. So if you have a cable TV subscription, you’ll be able to plug Boxee TV into the wall and watch those channels. What sets this device apart from other set top boxes, Boxee says, is that the DVR is entirely cloud based. There’s no internal storage on Boxee TV; the content is stored in the user’s cloud account. The new Boxee TV costs $99, nearly half the price of the original $179 Boxee Box, and ships November 1. Boxee’s DVR service, which uses Amazon’s cloud servers, will cost $15 a month for unlimited cloud storage. 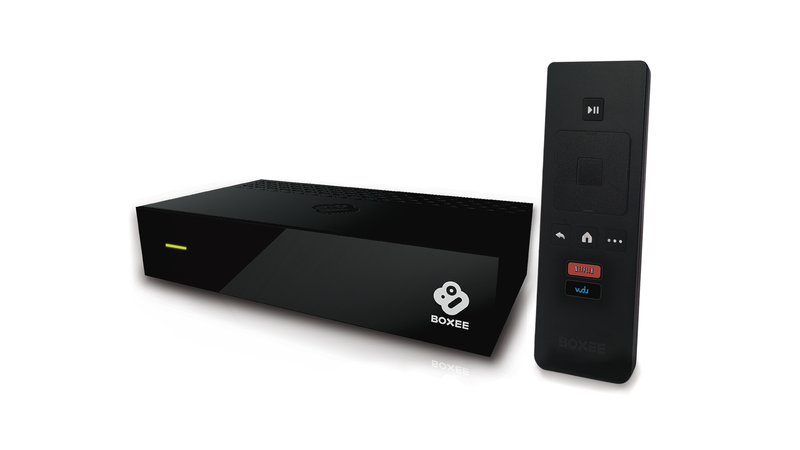 Boxee also said it would no longer make, but will continue to offer maintenance for, the original Boxee Box and its short-lived Live TV dongle. Boxee’s earlier device options. The company will no longer produce the original Boxee Box. The start-up, lead by Avner Ronen, has come a long way from its early days, when it first offered a Web app for video viewing on a laptop, then put out a designated set top box, followed by a live TV plug-in “dongle” that combined Web video apps with basic TV channels, to its Cloudee cloud service, all of which has culminated in the full-fledged system it’s unveiling now. Along the way, Boxee has managed to piss off everyone from cable operators to Hulu to Mark Cuban, but now insists the box is a good thing for cable operators. In fact, Ronen said in an interview with AllThingsD, he’d like to do more work with cable operators, especially smaller ones, to perhaps offer an alternative option to the clunky, subsidized cable boxes consumers normally get with their basic or premium cable packages. Boxee offers unlimited DVR storage — for a fee, of course. No more deleting never-watched shows because you’ve run out of space and can’t record new episodes. Cord-cutters or cord-never-getters can now put Boxee in the same price category as a Roku or Apple TV, and still get a few basic TV channels to boot, plus the DVR, plus Web apps (provided they have monthly Internet service). Cord-shavers who want to keep their cable subscriptions for premium content, like Showtime’s “Homeland” or ESPN, now have another inexpensive option for a supplemental or second-TV Web video box. Users who have been getting free basic TV through antennae can buy and connect the Boxee to coaxial cable and opt into its $15 a month DVR service. In terms of design, Boxee has grown out of its gangly phase and is now a lightweight rectangular box that should fit easily on console shelves. 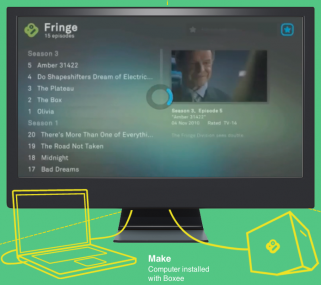 Boxee has put a lot of emphasis on offering free TV channels — both broadcast and basic cable — through the device, but the number of free TV channels that are available will depend on which markets users are in. This could range anywhere from zero to a handful of channels to a couple dozen. And channels can be encrypted (read: made unavailable) by cable operators at any time, but Boxee says it has been working with cable operators to elude that problem. Only about 30 percent of U.S. households across 8 markets will be able to use DVR on Boxee TV. Hulu and Hulu Plus still aren’t available on Boxee. Boxee also doesn’t support cable authentication apps. So let’s say, for example, you’re still paying for your premium cable subscription — you won’t be able to access HBOGo or Comcast Xfinity through Boxee. Boxee TV doesn’t offer a basic Web browser. Boxee has ditched that fantastic Qwerty remote, the one that kept you from having to painstakingly search for TV show and movie titles using a set of arrow keys. I asked Avner about this; he said going back to a standard remote kept costs down, and pointed out that users can do most of their searching on Boxee’s compatible Web and mobile apps. But I really liked that little remote.